Wow! It’s crazy to think that I’ve been in New Zealand for almost three weeks. Mostly I’ve been getting focused on my research project, which is well under way. But, I have been able to get out on a few adventures and I thought I should share the highlights so far. My adviser’s wife is a geologist and archeologist. During my first week she invited me to go along on a fossil hunting trip with her post doc. Needless to say, living out one of my Jurassic Park inspired dreams was amazing. I’m not so familiar with geology, but from what I gathered we were digging in an old swamp/lake. The rock was damp, soft, and black from the high density of organic compounds. I was happy to split as many rocks as I could, because within each was the potential for a secret that lay in wait for millions of years waiting to be unleashed. I found many fossils of flowers and leaves, a few small fish skeletons, and one weevil. The weevil was very well preserved and I got some macroshots after the lab analysis. Though, my favorite part was cracking open a rock and sighting a perfectly preserved leaf – veins, cuticle, color and all – just before it was blown away in the wind, its atoms finally resurrected and free to spur life anew. I’ll be going digging again the soonest chance I get. 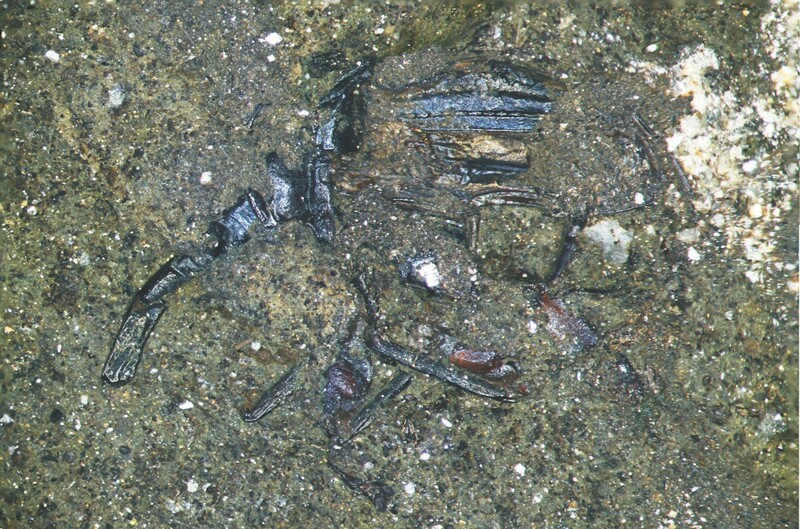 The fossilized exoskeleton of a weavile. Notice the extended mouth part to the left, and appendages below. 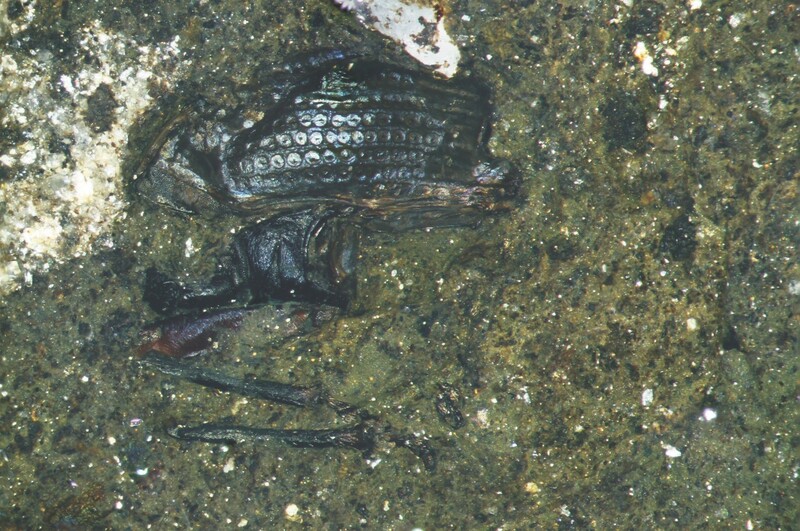 Fossilized exoskeleton of a weevil counter relief. Notice the mottling of the carapace. 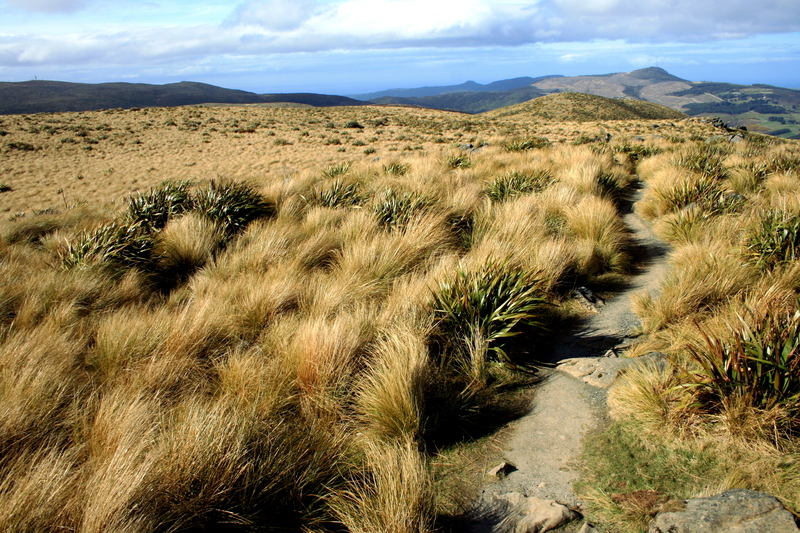 View of the tussock grasslands of New Zealand. 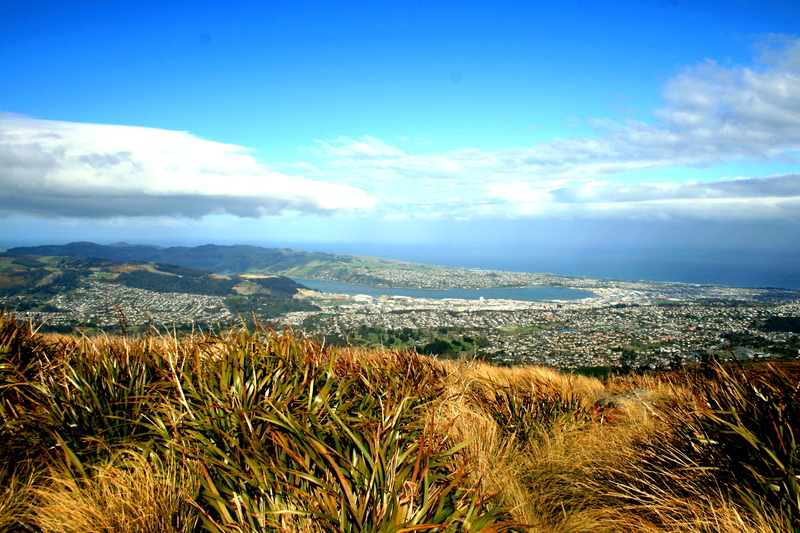 On one nice afternoon I took a hike to one of the highest points around Dunedin, called Flagstaff (historically where a flag was raised to signify the arrival of a ship carrying supplies and visitors to the harbor). The view and the hike were amazing. My legs joined my ears in getting a vivid appreciation of the elevation changes here. In attempts to improve my NZ naturalist skills I was able to check out many native birds and plants. Unfortunately there haven’t been many insects around yet, but I’m hopeful since summer is quickly approaching. View of the city and harbor from Flagstaff. Categories: Uncategorized | Tags: dunedin, fossil hunting trip, Gregory Thomas Nelson, new zealand, travel | Permalink. Enter your email address to follow my blog and receive notifications of new endeavours and adventures.